How many times have you served a side of plain white rice with your favorite dishes? 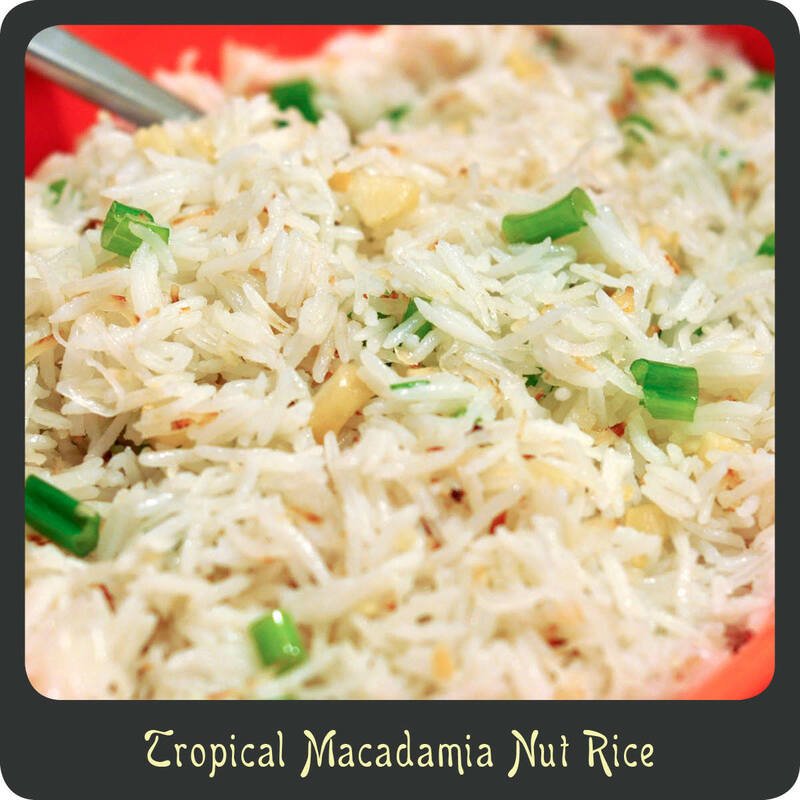 With how quick and easy this macadamia nut rice is you will be looking to spruce up your rice more often. This takes rice to a whole new level. It is sweet and salty and has a great balance of textures with the crunchy nuts mixed in. This is a great side dish if you are looking for food for a luau. I love to serve it with teriyaki chicken and grilled pineapple. Yummy in my tummy! This rice pairs nicely with my homemade halibut fish sticks, any grilled fish, or even grilled pork or shrimp with Caribbean seasonings. Try this out and give your taste buds a real tropical treat. Aloooooohaaaaa! While the rice is cooking, lightly toast your coconut in a skillet over medium heat until it turns a nice golden color. Set aside. After the rice has sat covered per the package instructions, drizzle with olive oil and gently fluff with a fork. Stir in toasted coconut, green onions, macadamia nuts, and season with salt. Your food always looks so good… thanks for linking me to this recipe. 🙂 I have never used macadamia nuts before!! Is their flavor similar to another nut? WOW, better than cashews? I must be missing out. 🙂 Are they expensive? More pricey than most nuts but not outrageous. You can typically pick up a jar at the store for under $10. I think they may even have little baggies of already chopped ones in the baking section for a couple of dollars.